Indie-folk band Wylder has continued to impress me with their beautiful and catchy music, and this new album is no exception. 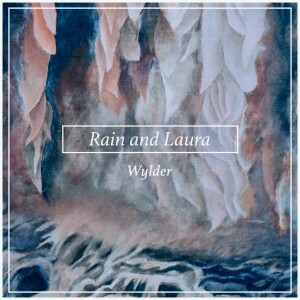 Rain and Laura was released about a week ago, and the songs are awesome. “Sunstroke”, “Bayhouse”, and “At the End (Pt. 2)” are songs that we’ve had on the station, and that listeners have loved. This album only adds to that love. The 10 songs on Rain and Laura are equally relaxing and also make you want to dance. Songs like “Lantern” and “Snake in the Grass” make you think more, they’re songs you’d want to listen to in a car ride while you’re deep in thought, maybe it’s raining outside (just trying to create a visual here). They’re more relaxing songs, more emotional songs. Alternatively, songs like “Sunstroke” and “Swells” are more upbeat, dancing songs. While still thought-provoking, they’re more head-bobbing smiling songs, maybe songs to jam to in the car while sun is out (another visual for you). The balance on this album makes it great and fit for whatever mood you’re in. This album is the love child of Mumford and Sons and Death Cab for Cutie. Which in my opinion, is a fabulous thing. Get tickets to their album release show on April 22 here. Listen to the album on SoundCloud here. Like Wylder on Facebook, follow them on Twitter, and listen to my interview with them last semester.